A new and romantic way to wish Chocolate Day to the loved one. Get Happy Chocolate Day Wishes with name of your love. Make feel them extra special. You will love it. If your love is far away from you and you want to send Chocolate to them. Then our collection of best chocolate day wishes and images with name of your loved one is the best way to wish. 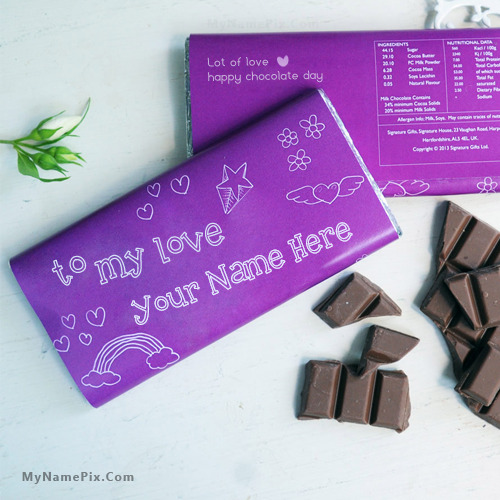 Just write his/her name and get a name on chocolate day images in a few seconds.